Buy this item and earn 41 ClubPoints. Extend up to Four (4) USB 2.0 Connections 39 Feet Away from the Host. 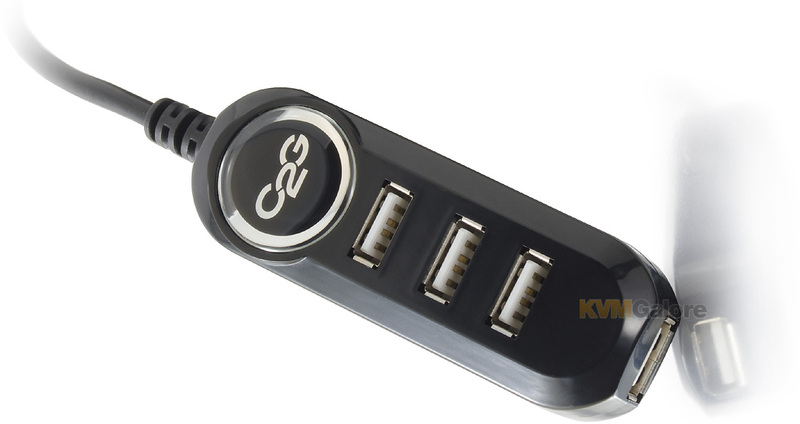 Place USB devices where you want them with this active USB 2.0 extension cable. 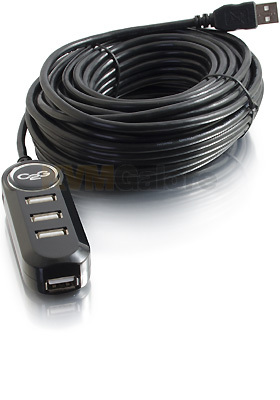 Extend up to four USB devices 39 feet with a single extension cable using the integrated USB hub on the end of the cable or connect up to three active extension cables end-to-end to achieve a maximum extension of 118 feet (36 meters). 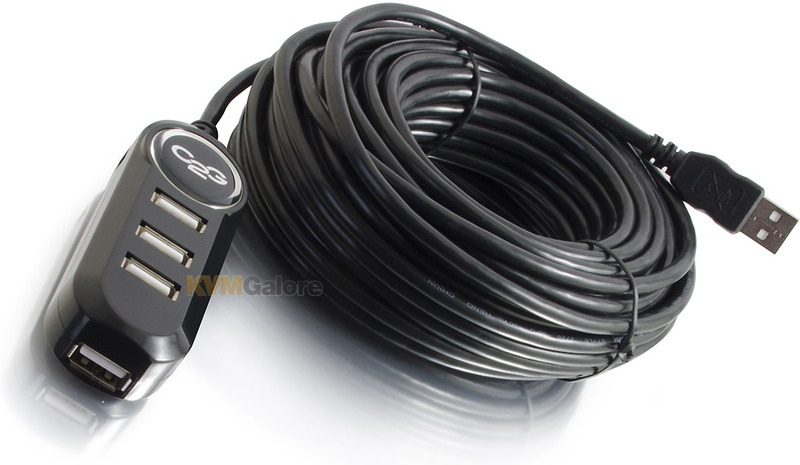 This cable actively buffers the incoming and outgoing USB signals to ensure compliance with the USB 2.0 specification for electrical and timing minimums. Both low and high speed USB devices will function equally well with this extension cable. 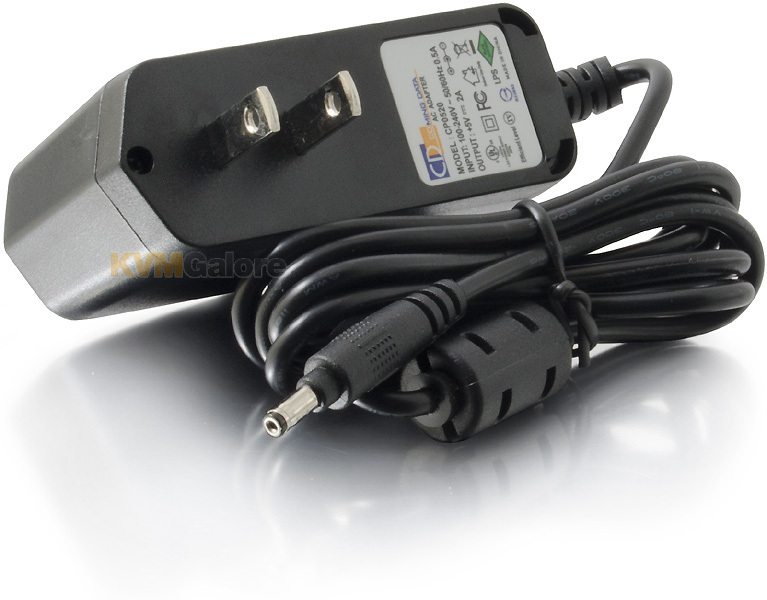 Included with this device is a power supply* to provide the proper amount of power to each USB port. The active chip is built into the female connector so you can easily install this cable in conduit or raceway! * While the power supply is not necessary to operate, the power will be split to each port so most uses will require the power supply unless the devices are very low power.